Nestled in the beautiful Ozark Mountains of Northwest Arkansas is Zen Acres Farm. Our 40 acre farm is a mix of woods and meadows with 4 ponds and 2 spring fed creeks that has allowed us to create and maintain a wide variety of farm raised products while protecting the delicate balance of the land. We like to keep things simple here by using sustainable and natural farming practices that seek to work with nature rather than against her. Whether it is our no till gardening and permaculture methods or simply allowing our livestock to grow at the rate nature intended, we are commited to leaving things better than what we start with. We work hard to produce the very best nature has to offer in all of it's splendid forms. The delicious array of heirloom fresh vegetables, melons and berries are all from certified organic and non-GMO sources. All of our produce is grown without chemical fertilizers or pesticides. We rely on our steady supply of compost and manure as well as no till gardening methods with deep straw mulch to provide all of the nutrients our plants need to thrive. The deep straw also holds in moisture, eliminating the need for watering even during the driest months. Our gardens actually improve the soil rather than deplete it. Every year it gets better and better! Many adjectives can describe our famous jams and jellies. We just call them delicious! Each small batch is hand crafted and created right here in our farm kitchen with the freshest and highest quality ingredients. All of the fruit is either harvested on site or locally sourced, pesticide free fruit or berries and sweetened with non gmo sugar. Zen Acres has recently added Tarentaise cows to the farm! We are currently the only farm in Arkansas who are raising this dual purpose breed from France. There are only 3 ranches in the US who produce this breed and finding some to start out herd was extremely challenging. 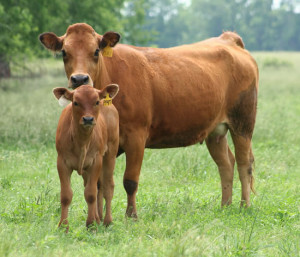 We are expecting our first calves this fall and will be offering replacement heifers to improve your herd as well as naturally raised beef. Our heirloom variety vegetables are raised with quality and nutrition in mind rather than quantity but don't worry, we grow plenty! Need to know which farmer's market we will be at and when? Be sure and "like" us on facebook for all the latest news on available produce and what else we've been up to at the farm. We would love to hear from you! Zen Acres Farm is well known for its gourmet jams and jellies. If you haven't tried them yet, you are missing out. We can fix that! 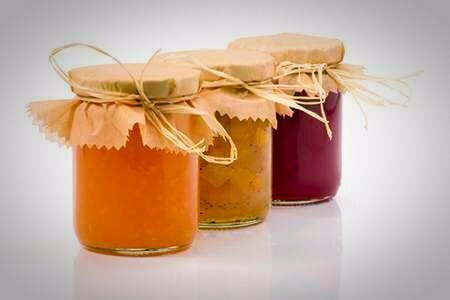 Each unique jam and jelly is made in small batches from locally harvested in season fruits and berries. We are super picky about our fruit quality and only the freshest, pesticide and chemical free fruits will do. Combined with non gmo sugar, and the finest quality flavorings, they are sure to become your favorite. Some of them are in extremely limited quantities so grab them up while you can. You won't be disappointed!